J.S. 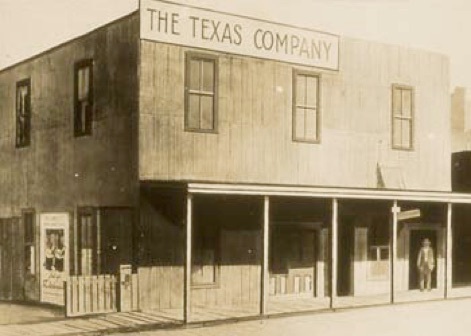 Cullinan and Arnold Schlaet form "The Texas Company" in April 1902, absorbing the Texas Fuel Co. and acquiring its office in Beaumont. 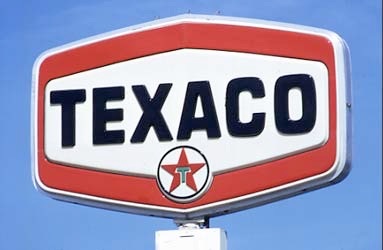 By the end of the year, the new company makes appropriations for the first units of the Port Arthur (Texas) Refinery as well as 20 storage tanks, its first marine vessel, and equipment for an oil terminal to serve sugar plantations along the Mississippi River. This early growth pattern continues in the years ahead. 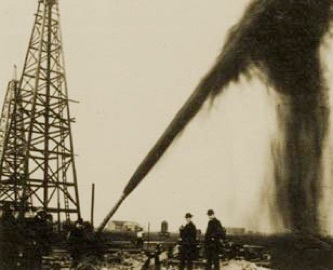 The Texas Co. strikes oil at Sour Lake, Texas, in January 1903 after gambling its future on the site’s drilling rights. 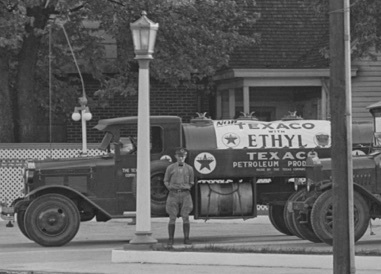 The discovery, during a heavy downpour near Sour Lake’s mineral springs, turns the company into a major oil producer overnight, validating the risk-taking insight of company co-founder J.S. 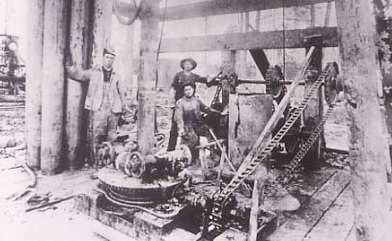 Cullinan and the ability of driller Walter Sharp. 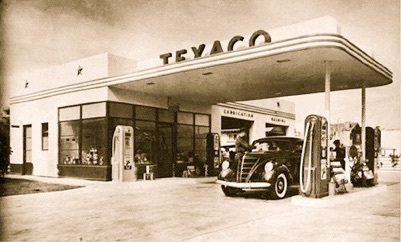 Texaco registers a new trademark that features the name "TEXACO" spelled out in black letters against a white hexagonal background outlined in red. 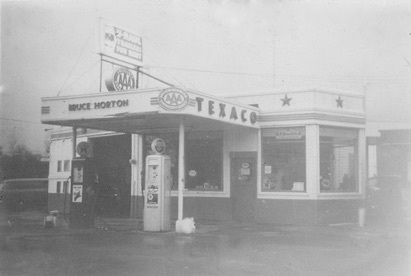 This 1963 design incorporates the previous trademark, the green “T” superimposed on the red star encompassed in a black-bordered circle, between the name and the base point of the hexagon. 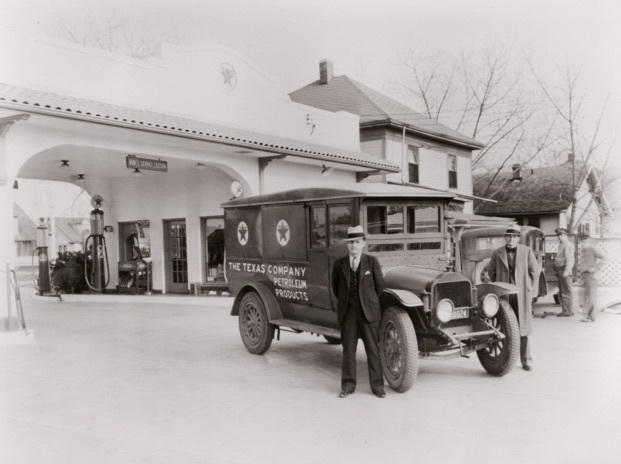 The Texas Fuel Co. is organized in March 1901 with sufficient capital to purchase large quantities of crude oil from the Spindletop field, develop a storage and transportation network and sell crude at a profit to northern United States refineries.